Curious if your Volvo's wastegate is properly configured? MVS Volvo Forums Contributor sleddriver documents adjusting the wastegate. Curious if your Volvo’s wastegate is properly configured? 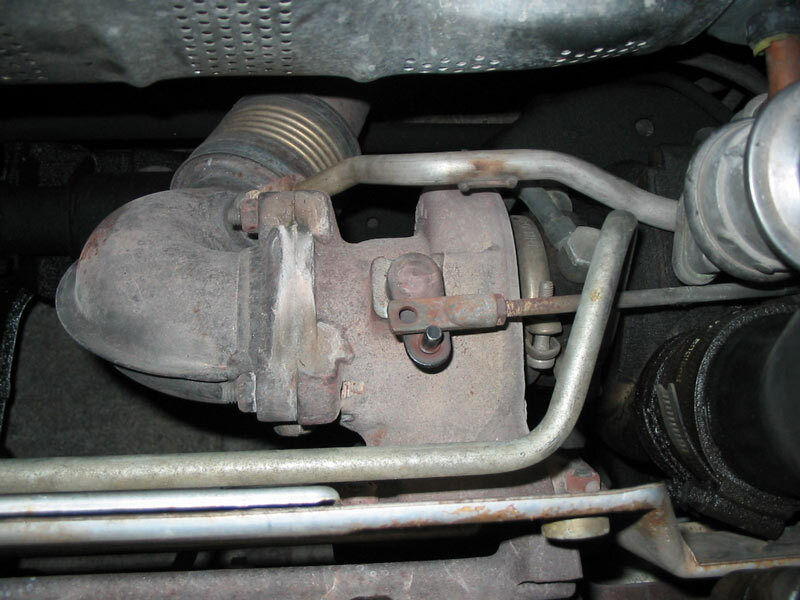 MVS Volvo Forums Contributor sleddriver documents adjusting the wastegate. He finds it off, and corrects it. Often owners “give them a few turns” to keep the turbo spinning in more situations, which reduces turbo lag when you floor it. This normally doesn’t cause damage because these Volvos are built with a great deal of tolerance. Or the wastegate will “drift” off the factory setting over the years, given the decade(s) of heat/cool duty cycles with 0 maintenance we put them through. Always curious whether the sled’s WG rod was properly adjusted, I recently verified that it was not! Matter of fact, it wasn’t even close! IPD has a good video on the process as well as a chart stating what the threshold should be. In my case, for the B5234 T3 motor, it’s 4.4psi. I borrowed a Mitey-Vac with both vac & press. capabilities, but found it not to be working very well. So I used it’s gauge to set a secondary air pressure regulator’s output to 4psi and then used this preset pressure instead of the MV. In order to slide the hole over the pin, the arm needs to be shortened 0.285″ (7mm)! That’s quite a lot! We’re way beyond 2 turns here! I marked the top of the jamb nut and began turning it CW, following up with the flattened end tab as I went, checking to see when I could easily drop it over the pin. It took 7 turns. However the inner tab threads bottomed out and I was unable to fully turn it all the way so it snugged up tight to the nut. So I had to turn the jamb nut about 1-1/2 turns CCW to “jamb” it tight against the tab. Point is the adjustment rod is STILL too long…not by much but the fact remains. I checked everything two more times: The pressure regulator, gauge, etc. to triple-check my work. It still came up the same. And I was using 4psi, not 4.4psi. So I started wondering “How in the world could it be this far off? I’ve owned the car for 17 yrs and….wait a minute.” Then I remembered that the dealer had used this car as a customer loaner, some sales guys were driving it, etc. before I bought it from the dealer. No “individual” had ever owned it before me. Given the bent bolt, I got to thinking that maybe the dealer “de-boosted” it before loaning it out to minimize wheel spin, torque steer and traction issues when it rained and some customer put their foot into it! Makes sense. Problem is, they never re-set it and I’ve never thought to verify it….until now. Bummer…..I’ve been driving a de-tuned, de-boosted T5 for 17 yrs! My indy said he’s never even checked one and relies on the factory for correct settings. When I mentioned the “dealer loaner use” though, he agreed it was possible and made sense. He loaned me his fuel pressure gauge, which reads both vacuum (in inches of Hg) and pressure (in psi). I duct-taped it to the windshield and connected it to the vac tree on the intake manifold. At idle, the sled motor draws 17″ Hg and the needle is very steady. Under partial throttle, boost is between 3 – 6psi. There is a noticeable improvement in torque in the low RPM range, starting around 2300 or so. Under full throttle (WFO), boost maxed out at 13psi, with the needle dipping a few psi, no doubt due to the actions of the TC solenoid. How do Volvo turbo control valves (TCV) work?